Follow this schedule to know where to be and when! 5:00 AM Parking Opens – Carpooling Encouraged! 7:00 AM Transition Closes – Have your goggles and head to the water! 7:30 AM Jack’s Generic Tri Starts! 10:45ish Bike Check Out – Tentative. The bike course must be completely clear of participants before we can release bikes. No bikes will be released before this time. Please plan accordingly. Jack’s Generic Triathlon utilizes a time trial swim start. Each wave, except the Open wave, will be a time trial start. The time trial start consists of starting one person at a time at approximately 2-second intervals. Participants will start with their assigned wave (e.g. 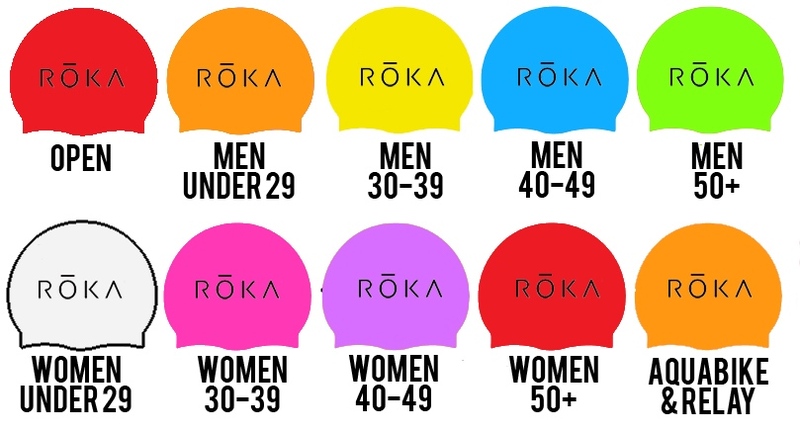 Men 40 & Over), but the order in each wave is unimportant. The time for each person will start when they cross the swim start timing mat at the water’s edge. Participants will line up within their wave on a first come basis. In the event of inclement weather, the start time of this event will be delayed by up to 1 hour. Should the weather conditions be unsafe for the swim, this event will be changed to a bike-run with distances of an 11.2-mile bike, and a 5K run. The duathlon will use a time trial start based upon the swim wave order. If the weather makes it unsafe for cycling, the event will become a 5K run. If the weather is deemed unsafe for any activity the event will be canceled in full.